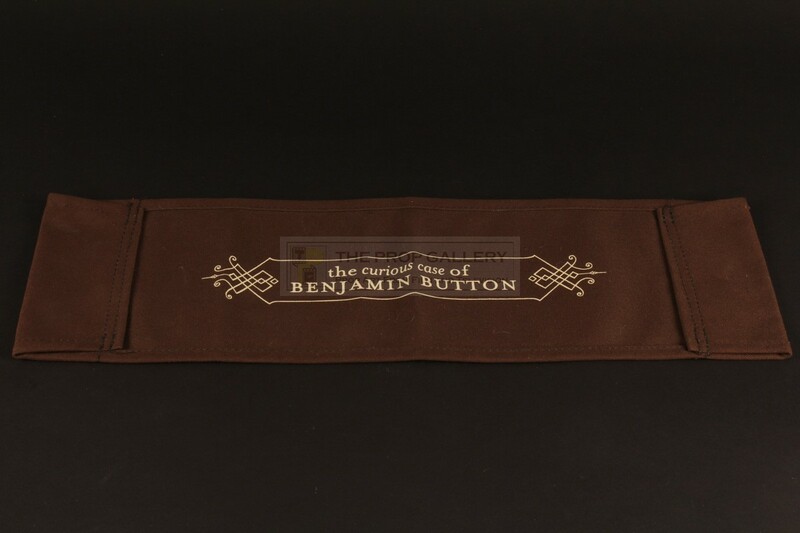 An original chair back used in the production of The Curious Case of Benjamin Button, the 2008 drama picture starring Brad Pitt under the direction of David Fincher. 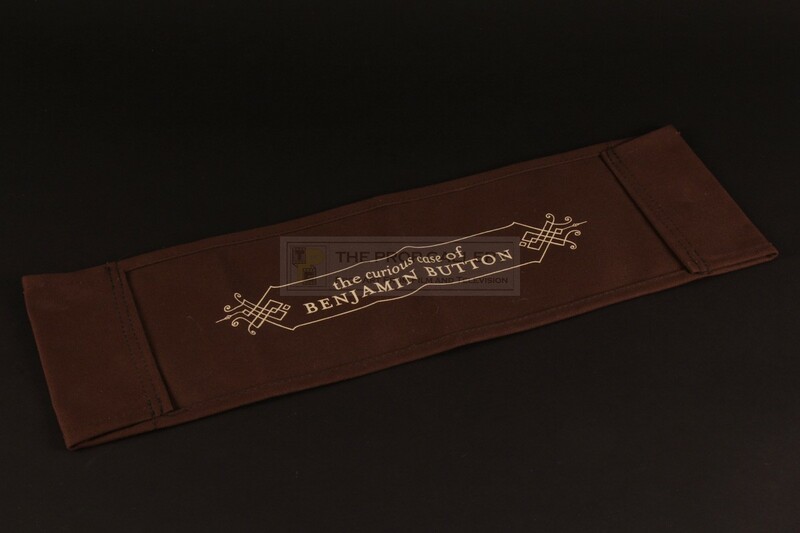 This production chair back is constructed from dark brown material and features the movie logo in stylised white lettering, blank to the verso it measures approximately 21" x 6.5" and remains in excellent condition, very fine. 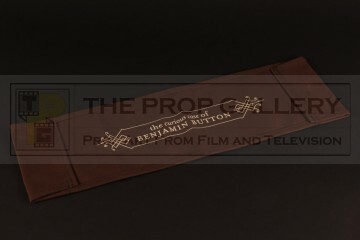 A fine production artefact from this well received Academy Award winning picture.